Clear and white acrylic spheres bring a glamorous touch to this modern lamp with a retro feel. 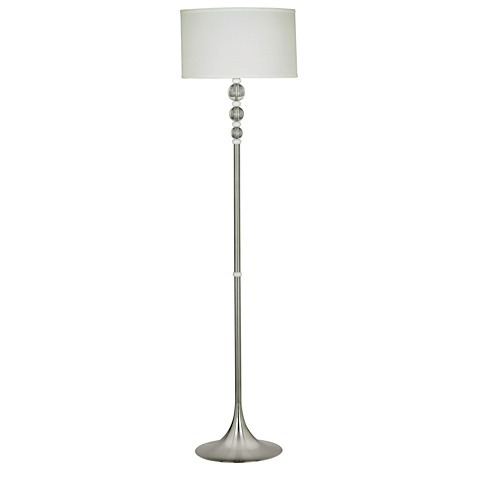 The swirling brushed finish and shallow drum shade enhances the glow of the light. Kaman requires a 3-way 150 watt (max) bulb and features a 3-way socket switch. The white, drum shade is 15" in diameter. Coordinates with Kaman Table Lamp.